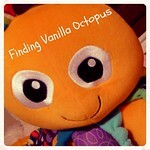 Finding Vanilla Octopus: The New "Normal"
I had my six-week postpartum checkup today. All went well; no surprise there. Things look good and I'm over thirty pounds down from when I had Mia, so only five left to go to hit my pre-pregnancy number. What did surprise me was the tiniest sense of loss that I felt. 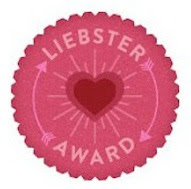 As though this last check-in was the final closing of the pregnancy chapter called Raspberry. True, it should really have ended over a month ago when she was born, but it didn't really, not for me. That first month was so surreal, and confusing. My body was in flux, my mind was in a fog. Today, as I undressed in the exam room, I stared at my reflection in wonderment. This is the body I have now. It feels strange,disconnected from my own self-image. Strange because it's no longer a pregnant body. Disconnected because, having spent 27 of the 39 months since Abby was conceived pregnant, being not pregnant hasn't been the norm for me for quite a long while. My sense of unease gives new meaning to the phrase, "uncomfortable in one's own skin." But I can't complain. With each pregnancy, my body has changed- yes- but not enormously. The differences are (mostly) subtle, and are generally only available for viewing by my own eyes. My clothes are fitting again. I have more energy and more ease of motion. Best of all, I now have three babies. Three gorgeous, amazing new human beings. Though I often wonder how I will get through the day trying to manage all of them at once, I can hardly recall a time when they were not all here with me. I certainly can't imagine a reality that does not include them. And now, as the "newborn honeymoon period" ends, the shock passes, and routines begin to slowly make themselves apparent in the insanity that has become my life, I can finally see it: this is the new normal. Though I recognize that I'll need to move at my own particular pace to really reach acceptance of it all in my mind, my heart knows with certainty that it's a pretty wonderful place to be. I'm truly blessed. Times three.